RESIN PLATE / LETTERPRESS MAKER(WE-FA2 / WE-FB3 /WE- FA3 / WE-FA4) - Guger Industries Co., Ltd.
All functions are compactly packaged into one unit of machine with a minimum of space requirement. All controls are located in the fornt of the machine. A drawer type exposure device is easy to load and unload negatives and block plates. For uniform light exposure through out a sufficient number of lamps are furnished. 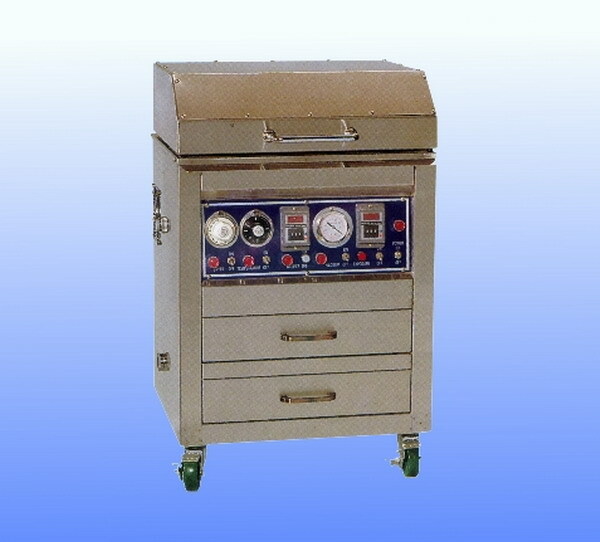 Wash out of the exposed plate is performed in the liquid tank where in brushes and moving plate holder areblowing type drying oven is also equipped. Operation of Guger is simple and requires no trained engineer nor skilled workers. Suitable for making resin plate and letterpress, Applicable to any cleaning materials of solvent, water and alcohole made by any brand.